Go ahead and SMILE... it’s the original CHAT App! Prepare your pre-wedding smile with Affiliated Dentists. At Affiliated Dentists — You can trust us with your smile. Sore jaw? Headaches? Could be TMJ. Welcome to Affiliated Dentists, where we’ve been making you proud to smile for nearly 20 years! Having two dentist offices in Madison, WI (East and West) with the latest in dental technology allows us to provide a visit that’s more convenient and comfortable! Our Madison dentists offer something for everyone: a pediatric dentist, general and cosmetic dentistry, dental implants and more! Read patient testimonies, ask a question or schedule an appointment. 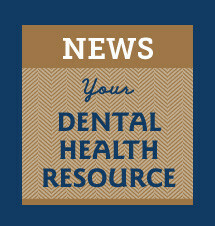 Are you a State Employee who has recently been affected by changes to your dental insurance plan? Now Wisconsin State Employees have true freedom of choice with the decoupling of Medical and Dental Plans. Delta Dental is now the only Dental Insurance Plan for State Employees. We have a long history with Delta Dental and we are proud to be the Preferred Provider for Delta Dental PPO. We accept most Wisconsin Dental Insurances for our offices in Madison, WI, with the most common being Delta Dental PPO and Delta Dental Premier, CIGNA, GEHA, Humana, Metlife, Principal, United Healthcare (UHC) and WEA. Find the complete list here.